In 2015 Random celebrated its 15th anniversary by playing many major Festivals & Ceilidhs at the end of which they decided to take a break for a while. One member then retired, another relocated a long distance away which would have made rehearsals difficult while the others decided to take time out to explore different projects. But now they're back with a refreshed line-up, having been extremely fortunate to have been joined by Penny Kempson on Fiddle, Adam Courthold on Drums, Dean Clay on Bass Guitar & Aaron Horlock on Electric Guitars. They join Paul Nye on Melodeons, who is from the original line-up of the band, passing on the style of the band and tune repertoire onto the new members, along with all memebers bringing new tunes to the band. In addition to new arrangements of existing material there are new tunes, many of which have been written by Penny, Paul and Aaron. 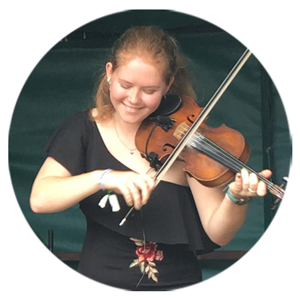 Penny is a very accomplished musician across many genres, writes & arranges tunes and can be found leading the very youthful band Out of Hand when not playing with Random or studying music at University. 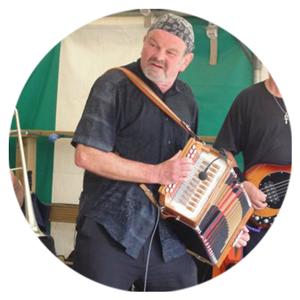 Since the 1970s, Paul has been playing Melodeon & writing tunes. Has danced with & played for many Morris sides and still is a musician for The Chiltern Hundreds & Chippenham Town Morris. In the past Paul has played with & led many Ceilidh Bands, many of Randoms' tunes were written by Paul and he continues to add new material. 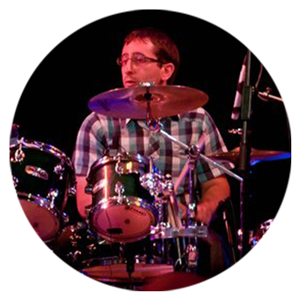 No stranger to the Ceilidh scene, Adam has been playing drums from a very early age, is an accomplished dancer, a former member of NYFTE & son of a well-respected Caller & dancing parents. 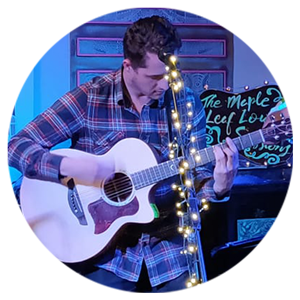 He has played with many of the top UK Ceilidh Bands, stood in for others & has seamlessly stepped into the vacated boots of the previous Drummer Roger keeping the 'Rock-Steady' feel to the backline. 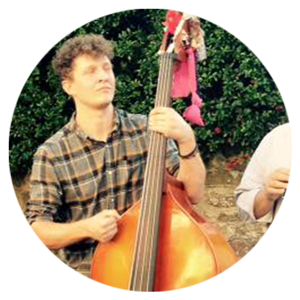 Multi-instrumentalist, Dean has joined the band to replace Keith on Bass Guitar. Another multi-instrumentalist, Aaron in the newest member of the band, replacing Ian on Electric Guitars. Between them there is almost 150 years of experience of playing for Ceilidhs in the new, refreshed & revitalised Random - coming to a Ceilidh near you soon! The Band acknowledges the previous musical leadership & enormous contributions in the first 15 years from both Saul Rose & Roger Smith. The band would like to thank both Ian Woledge (Guitars) & Keith Holloway (Bass), both from the original line-up, with all their hard work in bringing back the band with the new members and the transition of the band.